The expungement laws in California can be very confusing, and the expungement process can be complex and extremely time consuming, often requiring multiple hearings. If you have the time, patience, and ability to wade through the expungement laws and the statutory requirements to file a successful expungement case with the court, and you do not mind going to court hearings on your own, then you could possibly tackle your record clearing matter on your own. There are often free resources at the courthouse where your expungement matter will be filed regarding the expungement process, and that is usually a good place to start your research. However, if you value your time, and / or simply just don't want to deal with the hassle of trying to figure out the legal process on your own, and you are seeking out a professional to help you with your expungement matter, then it is critical that you hire an attorney that specializes in California expungement law. Only an attorney will be able to handle your expungement matter from start to finish, including attending all hearings on your behalf. Make sure the attorney is licensed to practice law and is in good standing with the California State Bar. Well rated on other review websites, such as Yelp. Long history doing expungement cases in California. Attended a top 25 law school. Make sure you are able to speak directly with the founding attorney. David Huffman, our founding attorney, is always accessible to you (gives us a call and ask for him by name). He has been licensed to practice law since 2005, and he has successfully won thousands of California expungement cases. We are also highly rated with the BBB and other reputable review websites. Check out our "About Us" page to learn more about Mr. Huffman and Fresh Start Law Center. There are several non-attorney websites out there that offer to "help" you with your expungement petition. They all charge $200+ for this "help," which does not include court costs or filing fees. These non-attorney websites are not licensed to practice law in the state of California, and they cannot provide you with legal advice or represent you in court. These non-attorney website are dangerous and are not governed by the California State Bar, meaning your sensitive personal information is very likely to be at risk and you could very possibly lose your money if you use a non-attorney website. Furthermore, these non-attorney websites are just simply filling out forms you can get for free from the court! 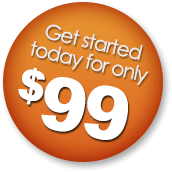 Why would you pay somebody $200+ to simply fill out free forms for you? The fact is that if you go with one of these budget non-attorney websites you will have to file your petition yourself. If the district attorney opposes your motion, you are on your own. If the judge requires clarification, you are on your own. If the judge requires a hearing, you must attend the hearing and you will be on your own. If the district attorney presents an oral argument in opposition to your expungement motion, you must respond and you are on your own. At Fresh Start Law Center we handle everything for you from start to finish. Since we are licensed to practice law in California, we are able to provide you with legal advice based on the unique facts of your situation. We are able to file the expungement moving papers on your behalf, ensuring that all of the detailed filing requirements are met (e.g., the district attorney must be given 15 days notice, etc. ), and we will represent you throughout the entire expungement process. If the district attorney opposes our motion, we will take the necessary steps to address their opposition. If a hearing is required, we will attend the hearing on your behalf (you are not required to attend the hearing with us in 99% of our cases). 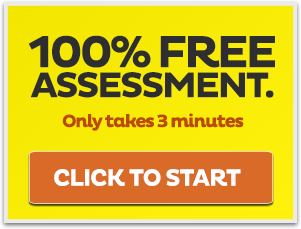 The fact is that an experienced expungement lawyer is essential to your success. Below is a table showing the difference between what our law firm does for you and what a non-attorney site will do for you. Make sure that the person you hire is a licensed attorney in the state of California. 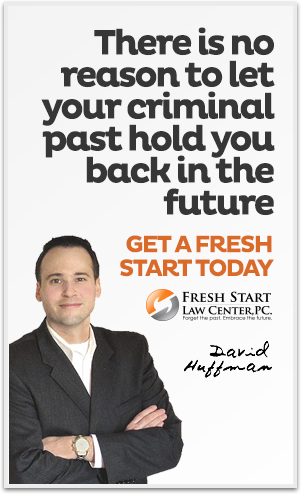 Fresh Start Law Center is one of the only law firms in California to specialize solely in expungement laws. This allows us to provide you with knowledgeable and focused legal services at the absolute lowest guaranteed fixed prices. 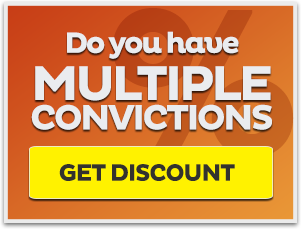 From the second you sign up with us an experienced expungement lawyer will begin working on your case and will continue to be there for you all the way until your case is finished. We pride ourselves on providing our clients with impeccable customer service, and we greatly looking forward to serving you.